2. 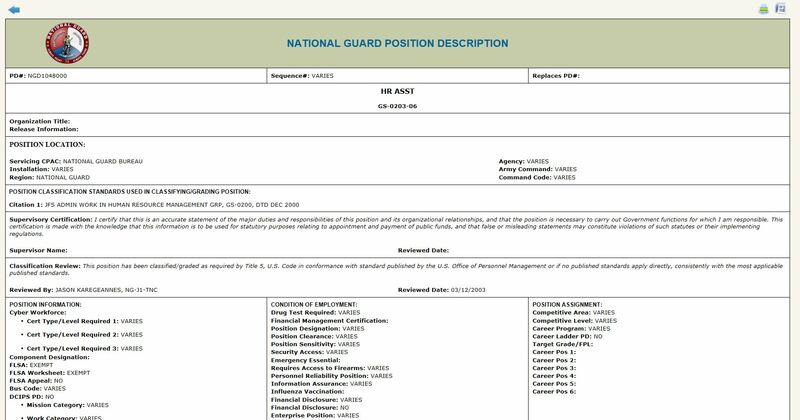 Put “NG” for National Guard in the CCPO ID field. 3. For PD# field, put “D” for dual status or “T” for Title 5 then the numbers. 5. Click on the results. To see your Position Description. 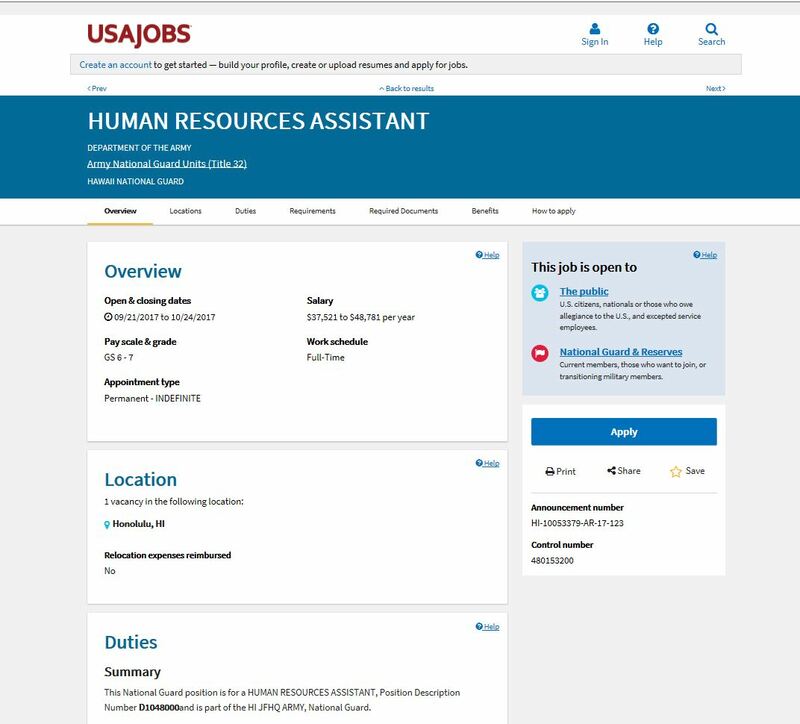 NOTE: If you do not know the number of your position description, you can log back into your USA Jobs account and search for your job that you applied it. 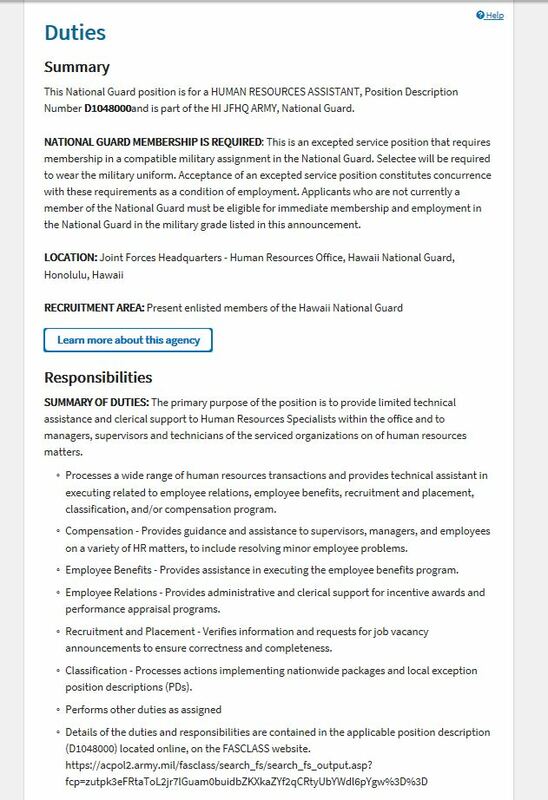 Once you find it scroll down to Responsibilities and this is where you can find your PD# on the last bullet.